Swimming Pool (Meridian Leisure Centre, Louth). Furious Market Rasen residents desperate for a swimming pool at the proposed multi-million pound leisure centre turned out in force to question the district council leader when he was in town last Wednesday (July 4). More than 30 people were at Market Rasen Town Council’s monthly meeting in Festival Hall to hear West Lindsey District Council leader Jeff Summers and commercial programme manager Karen Whitfield answer questions about why the £6.3 million leisure centre planned for Gainsborough Road does not include a swimming pool. Residents handed a 2,000-signature petition to the district council, showing the strength of feeling in the town. And the residents’ calls prompted Market Rasen deputy mayor Steve Bunney to declare there would be two public consultation meetings in the town to create a detailed strategy for securing a swimming pool as soon as possible. Coun Steve Bunney told residents: “We were aware there was a need for leisure facilities in the town. “What I’m asking to do today is relook at our three year strategy and include a stronger section to do with leisure and part of that will be to get a pool into Market Rasen as soon as practically possible. “To do that we’ll require information from everyone in the town. “We know a swimming pool is needed, we know a dry side is needed. “If we can make it work, the swimming pool will come. “I was told some months ago ‘you won’t be able to get a skate park’ [which is now being installed in the town]. Coun Bunney’s speech was met with applause from the residents, who agreed what he said was ‘fantastic’. Residents told Coun Summers and Ms Whitfield they felt their voices had not been heard and business owners were worried they could not compete against such a ‘big enterprise’. One resident said: “There’s been no research whatsoever. Another resident said: “I feel we’re being penalised as a small town because the district council are spending all their money on Gainsborough. And another person told WLDC: “Children are the next generation. The new leisure centre in Market Rasen - due to open in June 2020 - will include a 3G pitch, fitness suite, dance suite, sports hall and changing facilities. Coun Summers told the residents: “We, as a council, have been dealing with austerity and have had to save money. “We have successfully managed the council in a way to generate income and we have specialist staff to make that happen. “We have a five-year financial strategy and we’ve still got £680,000 to find in three years’ time. “If we spend and spend with no return we’ll be bankrupt, just like Northampton council is at the moment. Ms Whitfield said: “We can’t afford a swimming pool, that is the honest truth. She added that the council could not ‘justify’ the leisure centre running at a loss ‘at the moment’. 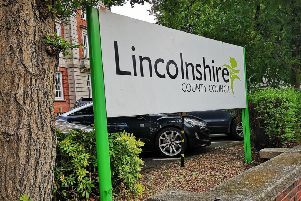 Residents asked for ‘no formal decision’ on the dry leisure centre plans to be made by West Lindsey District Council until the town council’s research and consultations had taken place. Ms Whitfield said: “We have to submit a planning application by October this year. In an exclusive interview for last week’s Rasen Mail WLDC leader Coun Summers and executive director of economic and commercial growth, Eve Fawcett-Moralee said the council needed residents’ support to get the dry leisure centre up and running before it could make a ‘business case’ for a swimming pool at the centre within three years. The public consultation meetings will take place in the committee room at Festival Hall in Market Rasen this Friday, July 13 at 7pm and on Saturday, July 21 at 10am.